Have you noticed this update? Evolve is an amazing store. 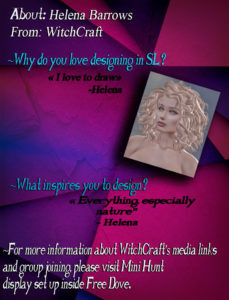 The owner and designer is Reign Congrejo, not only she is an awsome designer but the owner of my favorite magazine BOSL and Mr. and Ms Virtual World!! So definitely look up to her and all the events she has for the community. 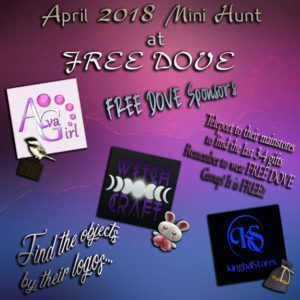 and of course don’t forget to join The Free Dove Group!!! and MUST show the “Blessed by a Dove” tag title so you can grab it. A Guess……. Who arrives at Free Dove, leaving some awsome hair????? CHARME!!! The Lovely hair store CHARME! 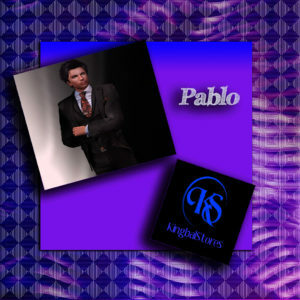 Beautiful hair for the ladies, and with the hud!! Has a few colors for you to use. Lovely hair that it is an Exclusive for Free Dove. Can’t find it anywhere else, so you will have to teleport to Free Dove!! 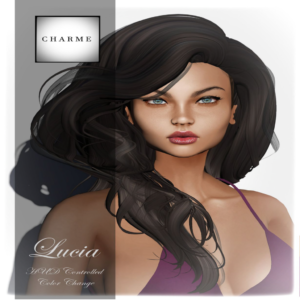 Teleport to CHARME for more hairs!! 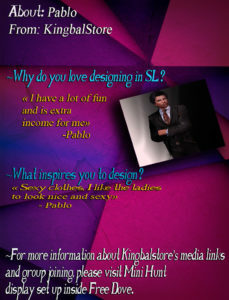 We, at Free Dove, got New Designer!! A new makeup designer for nails, eyes at Free Dove. Congratulations in joining Free Dove!! I am so excited to see these nail polishes for those of you that wear Maitreya body. Lovely set of cherries. Free Dove now carries a little bit for everyone, having mesh bodies or classic. Always grab them. Also she brought great set of eyes for UNISEX. These are eyes appliers so you would need the Omega relay installed already. Beautiful blue eyes. We are so happy with Angel Eyes joining Free Dove. 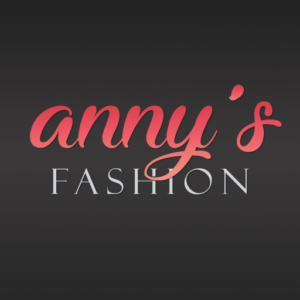 As always don’t forget to send a short note thanking this designer for the gift at Free Dove!! I added 2 different items at Free Dove that are different. Since is SL and we can be who we want I decided to add these fun looking horns. They look extremely different as all the accessories we are used to see at Free Dove tables. 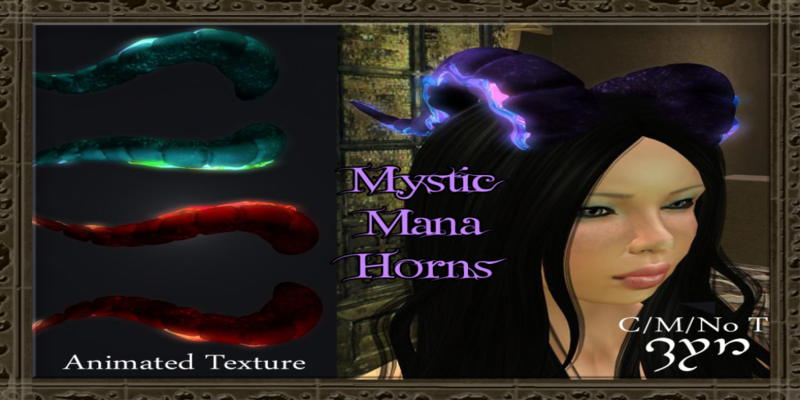 These are “Mystic Mana Horns” with animated Textures. Three different colors. By Zyn. If you are into RP, you might find some good use to them. These are placed at the Fantasy/Costume table, close to the wall of fame Free Dove sponsor wall. Also, a set of jewelry. Another fantasy item but we placed it at the accessories table. This set of jewelry, “The Imperial Lotus” comes with a crown, choker and armband. These are not mesh, more older items but I thought they look cute for those of you that like the game and play role plays and fantasies.